Believe it or not, there is an update for the WhatsApp Beta for Windows Phone. The new version is 2.18.30. Among the new features is Live Location. This allows you to share your location with others for a set period of time. To use this feature, go to chat and tap on Location. You then set the amount of time that you want WhatsApp to allow others to know where you are. There are three settings to choose from, 15-minutes, 1-hour or 8-hours. You can also abruptly stop Live Location anytime you want by clicking on the "Stop" button. The new feature is accurate to 5 miles. Another new feature found in the WhatsApp Beta for Windows Phone adds a search function in Group Info. With this new capability, users can find group members instantly. You can also delete group messages that you've sent, as long as it's done within 68 minutes and 16 seconds from the time the message was originally disseminated. Lastly, Download My Data creates a report of the data in your WhatsApp account. You can request to download the report, which takes 20-days. After you download the report (which must be within 30-days after it is ready), it will be removed from the WhatsApp server. To add the WhatsApp Beta app to your Windows Phone device, click on the sourcelink. The app is free and weighs in at 28.75MB. And don't forget to view screenshots of these new features found in the slideshow below. Keep in mind that most of these new features are already available on the iOS and Android version of WhatsApp. I hope it was worth the time and money to create this version for 5-10 people in the world. It's totally worth it. 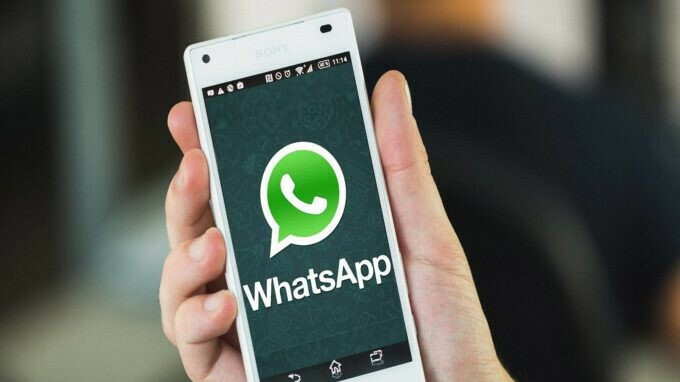 WhatsApp is an app that a good amount of people use everywhere, regardless of platform. There must be a healthy amount of users using Windows phone for a Co. to put their time and energy to update the software for this platform. They should've some analytical data pointing them to this direction. It would've wonderful if Windows took off. There would've been more players in the field, more choices for us, but sadly, that's not the case. When I see the present scenario of mobile platforms, I remember the movie 'Judge Dredd' - one big Commander who knows everything, who knows what's good for the city. We're reaching to that, slowly. I still use my lumia 920 as a secondary phone. There are more than 5-10 people .... less than 0.1% still equals thousands .. not all people are lucky enough that they can get new devices every now and then, some also use them as backup devices ... that's mainly due to the lack of any resale value, so why sell it for no money when I can use till it breaks down? it is still a useable smartphone even without any support.. currently available apps, though not alot, allows you to do most of the needed work. Windows phone is still getting support? Yeah, Microsoft still officially supports it and not all developers have abandoned it. Hasn't been a new phone I know of in over a year, nearly 2 since the last flagship, so it's clearly a dying platform. I'll elaborate a little more on what 'L0n3...' said. Every Windows phone with Windows 10 Mobile is supported till this very moment. There are regular security updates happening. If I'm not mistaken 'Meltdown & Spectre' security patches was sent OTA by Jan 4 this year. You're not mistaken. Windows updates are done across the board regardless of phone model and they're not carrier dependent. Sad to see Microsoft throwing in the towel on such a wonderful OS. I don't blame them but it still blows. As of May of last year, BlackBerry’s has a user base of 11 million, so I’m pretty sure your trolling comment of “4-5 users” is incorrect. https://en.wikipedia.org/wiki/BlackBerry?wprov=sfti1 Nice try, though. those 11 million user base are using blackberry's ANDROID not Blackberry's "BB10" , that's a major difference right there and that is what he refers to. NO, it’s not. You are incorrect. Users of BlackBerry Android smartphones would all fall under ANDROID. Do you count users of HTC Android powered smartphones separate from Android? No, you don’t. Same premise here. He’s just trolling, and if you bother to read down a little further instead of going at someone that posted an actual link to back up his statement, you’d see that he kind of admits it. He’s known for constantly trolling BlackBerry and its users. Lumia 640 XL was slower launching many apps comparing to my old first gen moto G. And I had the 520. I would say WP has smooth scrolling on the home screen and settings and that's about it. The OS just does so little. Pricing was amazing thou, a few months after launch, of course. Those Lumias were launch at damn high price and Android in the same price range definitely performed better. But when the 640XL got dropped to $80 and 630 down to $30, it's true no Android in the same price range can beat them. Some people literally have no sense of humor... Sad! Perks of being a self proclaimed genius, eh? Oh well, G'Day! Yes and there are users, not all people can change their phones quickly , especially in developing countries..
Microsoft still has around 0.1% of the market. Thats around 2,400,000 people still using Windows phones.